Lantana's new basketball court is taking shape. 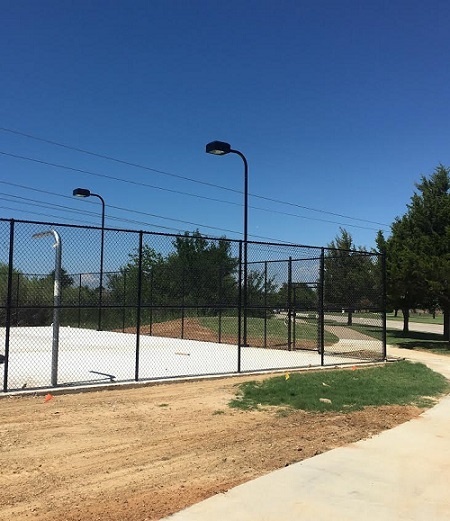 The facility is located at the corner of Lantana Trail and George Street adjacent to the tennis courts. The concrete pad for the court was recently installed and the adjacent sidewalk has been rerouted. "The concrete will take 30 days to cure before they can put the acrylic surface on top, so it may not be ready until August 1st," said Lantana Community Association Manager, Mark Norton. The court will be fenced with key card access, just like the tennis courts.